What more can APEC do to promote the development of micro-, small and medium-sized enterprises (MSMEs) in the region? DON PRAMUDWINAI: APEC is a forum for members to learn and benefit from each other’s experiences and expertise, including being a dynamic platform that serves as an incubator of ideas for deeper regional economic integration. As such, MSMEs have always been one of APEC’s priorities. MSMEs in the region face considerable challenges, including difficulty in accessing sources of finance, insufficient digital literacy and lack of awareness on sustainable business practices. Capacity building is one area in which APEC can offer in the long term to support their development. In this connection, a sub-fund for MSMEs has been set up to encourage member economies to initiate projects that promote their entrepreneurial capacity in developing APEC economies. APEC can also help to foster growth of MSMEs by introducing non-binding policy frameworks, leading to a better business environment for them. In 2015 APEC leaders adopted the Boracay Action Agenda to Globalise MSMEs in promoting the MSMEs’ participation in regional and international markets. Thailand is playing a key role in developing the APEC Strategy for Green, Sustainable and Innovative MSMEs, which aims to guide policymakers in creating a conducive environment for MSMEs to expand in an eco-friendly, sustainable and innovative manner. In addition, through the APEC Business Advisory Council, APEC can engage its business partners to empower MSMEs, especially those with e-commerce capabilities, through mentorship and training programmes. For instance, networking with multinational enterprises as well as mentorship and training opportunities by larger companies can facilitate MSMEs’ entry into international markets and global value chains. This would support APEC’s already established group on MSMEs over two decades ago to support greater participation of APEC MSMEs in international trade. How are ongoing bilateral and multilateral free trade agreement (FTA) negotiations feeding into the government’s broader foreign policy vision of strategic partnerships? DON: Thailand is party to 12 bilateral and multilateral FTAs. These include bilateral FTAs with India, Australia and Japan, as well as multilateral FTAs with China and other partners under the ASEAN framework. In addition, Thailand is currently involved in bilateral FTA negotiations with many countries, including Pakistan and Sri Lanka. Discussions with the EU are also expected to resume soon. On the multilateral front, Thailand hopes to expedite the conclusion of the Regional Comprehensive Economic Partnership (RCEP). Indeed, the RCEP, which will become the largest global trade deal, will not only underscore ASEAN centrality in the regional economic architecture, but also intensify Thailand’s engagement on new issues such as competition, e-commerce and MSMEs with other ASEAN members and key strategic partners, including China, South Korea, Japan, Australia, New Zealand and India. Beyond these existing negotiations, Thailand is in the process of expanding partnerships through bilateral FTAs with new partners, including Turkey, which will serve as an important economic gateway to the Middle East and the South Caucasus. Furthermore, Thailand is undergoing internal consultation on whether to join the Comprehensive and Progressive Agreement for Trans-Pacific Partnership. 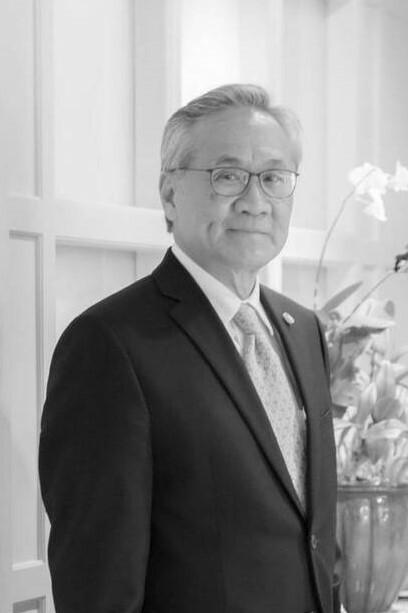 For Thailand, the rationale for pursuing strategic partnerships has always been the promotion of converging interests and mutually beneficial outcomes. In tandem with our active participation in bilateral and multilateral meetings and dialogues, trade agreements have served as a potent tool to deepen and, in several cases, reinvigorate engagement with our existing and potential strategic partners. This is in line with Thailand’s Foreign Affairs Master Plan – the so-called 5S Strategy (Security, Sustainability, Standard, Status and Synergy) – which is aimed at enhancing Thailand’s competitiveness, while also contributing to global efforts in achieving the UN’s Sustainable Development Goals.